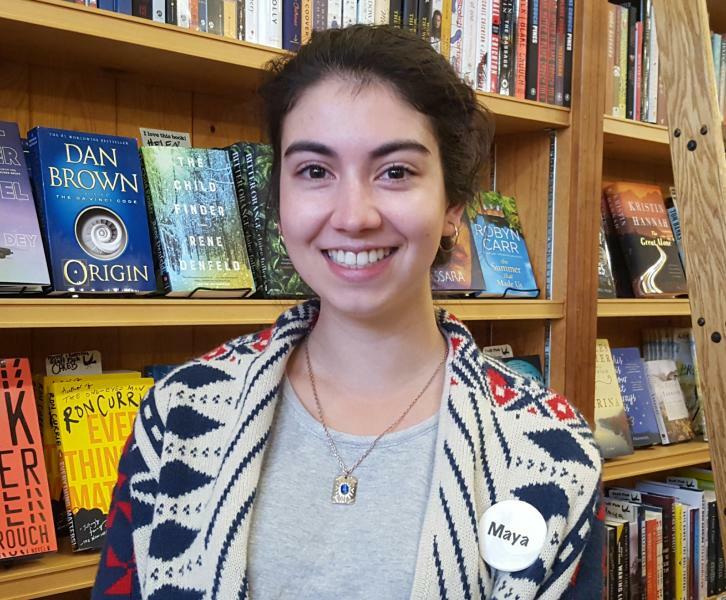 Maya is a new arrival in Durango, having moved to the mountains from Walla Walla, Washington, where she studied Environmental Humanities at Whitman College. Aside from loving words and writing, she is an outdoor enthusiast who enjoys camping in the desert, rock climbing, and boating. Maya will attempt to befriend any and every dog that comes into Maria's Bookshop. She is currently teaching herself woodworking and planning a spring garden.